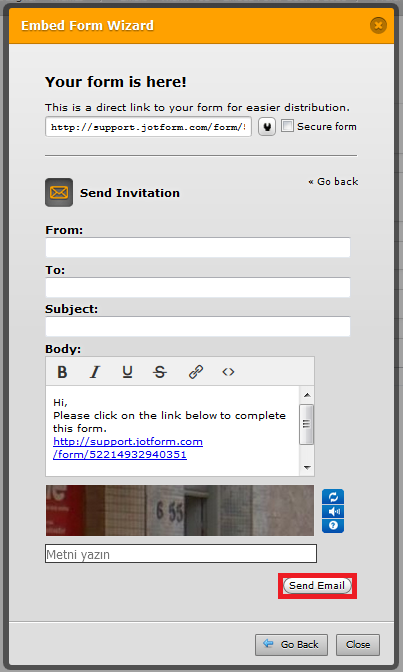 Can I Embed a Form into a HTML Email? Because of lack of client supporting for HTML/CSS, we do not recommend to embed your form into HTML email. Probably, it won't be displayed. 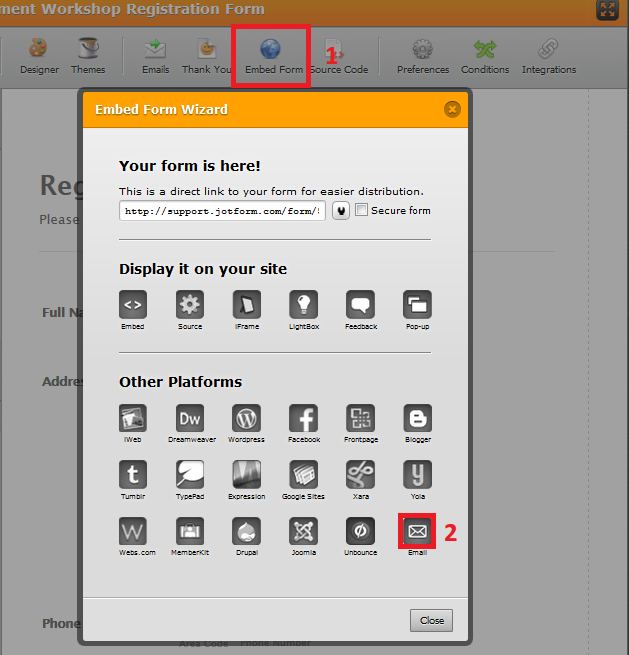 Alternatively, you can use one of the embed option to send your form as a email. 1) Click to "Embed Form", then click to "Email" on the upcoming popup window. 2) At the last screen, you can customize and set the settings for your email. After everything is done, you simply click to "Send Email" to send it. Also, you can copy your form's URL and paste it to your email. Actually, email embedding method is doing the same thing. If anything stays not certain, please let us know.